This is the famous tour that everyone is talking about! 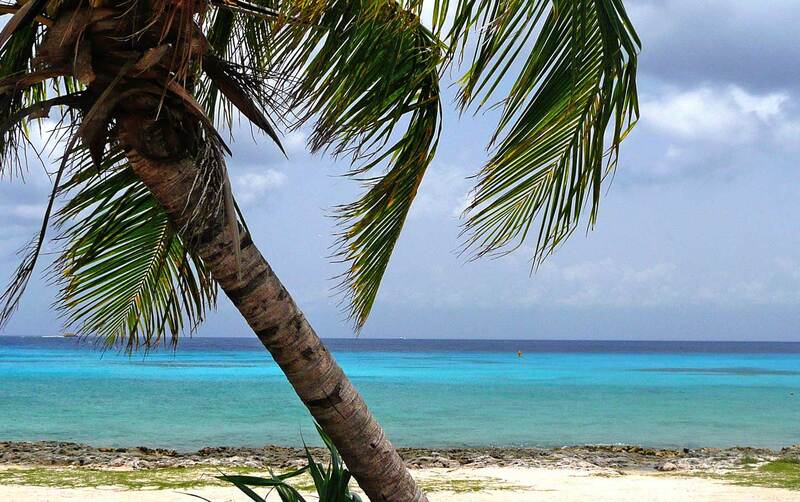 Set sail on a truly unique sailing adventure to the remote northern beaches of Cozumel. 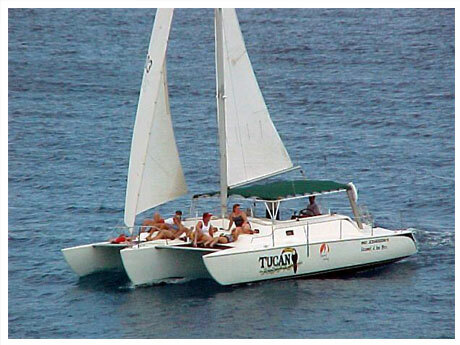 You'll travel in comfort on the "Tucan", our 35' trimaran. This boat will hold up to 28 people, but the limit is 16-17 passengers on this trip, so there's plenty of room to move around! SNORKELING! See colorful fish in crystal clear water. We provide excellent quality snorkel gear in all sizes, or you can bring your own if you prefer. LUNCH! We always serve up mouth watering arrachera beef fajitas, grilled right on the boat. Plus veggie pasta salad, chicken wings, refried beans, flour tortillas, pico de gallo and our ever popular guacamole! DRINKS! The bar is always open on the Tucan...with a wide variety of mixed drinks, ice cold beer, bottled water and soft drinks. BEACH TIME! We offer you optional time on a remote natural beach. You can choose to stay on the boat and relax or hop on our Zodiac and zip off to the beach to explore. SPINNAKER RIDES! Weather permitting, experience a thrilling spinnaker ride off the back of the boat. DEEP SEA FISHING! We always put out fishing lines along the way. And if we catch something good...we'll even throw it on the grill for lunch! MUSIC! We have a great sound system onboard playing your favorite "beach tunes" like Jimmy Buffet, Bob Marley, Santana and more. Confirmed reservations are required, but if you are on the island, please call for last minute availability. Please e-mail or call about our special group rates and reservations.